Legal action in $9.1 billion real estate Project CityCenter Las Vegas brought on by joint venture partner Dubai World against real estate developer MGM Mirage. Dubai World says their partner is mismanaging the resort located on the Las Vegas Strip. The project has been riddled with financial difficulties. MGM Mirage quickly responded with their plans of finishing the development. Their statement says they have available liquid funds to satisfy their funding obligations including a required payment this week. MGM Mirage has touted the Las Vegas resort as the most expensive private commercial real estate development in U.S. history. The developer quickly replied to ease shareholders with many questions about the future and viability of the resort. Last week the investment division of the Persian Gulf state, Dubai World, asked to be relieved of their Aug 2007 financial obligations in a lawsuit filed in Delaware Chancery Court. MGM Mirage Senior Vice President of Public Affairs e-mailed a statement from the company before trading opened on the New York Stock Exchange and tried to deflect Dubai World’s claims that question the completion of CityCenter. Due to the size and scope of MGM Mirage’s capital structure, and out of court restructuring would be difficult. According to a gaming analyst the lawsuit would most likely force a Chapter 11 bankruptcy. 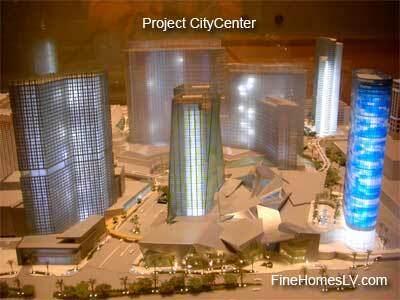 Legal action in $9.2 billion real estate Project CityCenter Las Vegas resort.